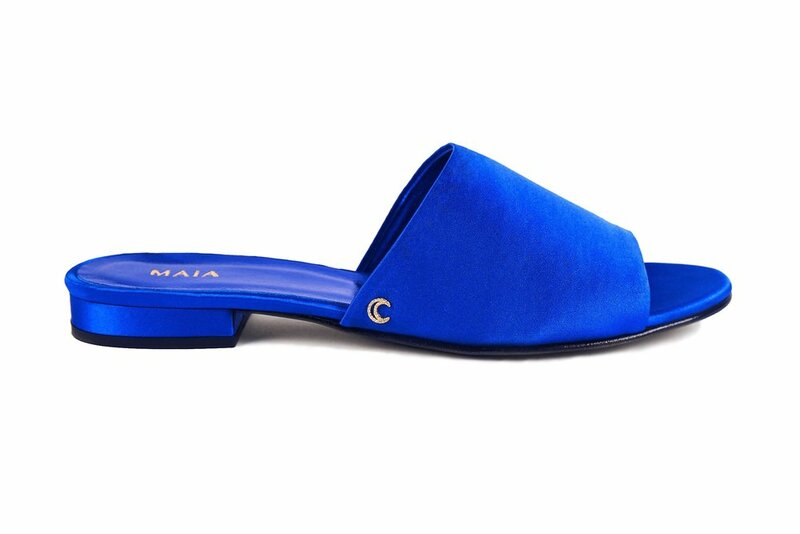 Handcrafted silk slide featuring our signature cobalt blue silk and jeweled moon symbol. Italian sizing. If you wear a half size, we recommend sizing up.